I went into Target the other day and not oly did they have out the Halloween items out, but they started making room for the Christmas items. Sigh. How I wish we could celebrate one holiday at a time. This does lead me to say that the holidays are FAST approaching and we have up to date 49 posts of "Gift Idea For The Book Lover"! LOTS of awesome items that make great gifts in stead of a gift card! Scroll down below and check out this week's items and let me know which is your favorite? 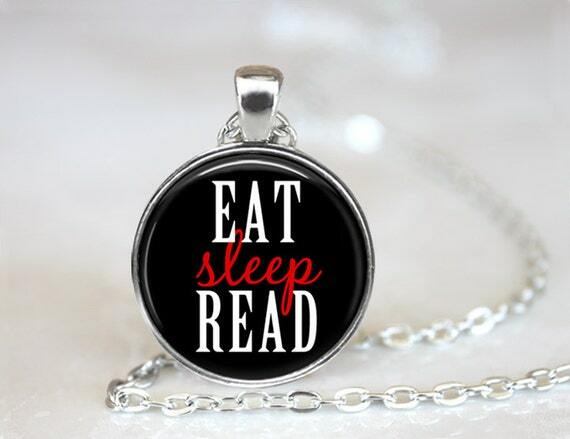 This listing is for a handmade art pendant saying, "Eat Sleep Read." NOTE: All items are made to order. 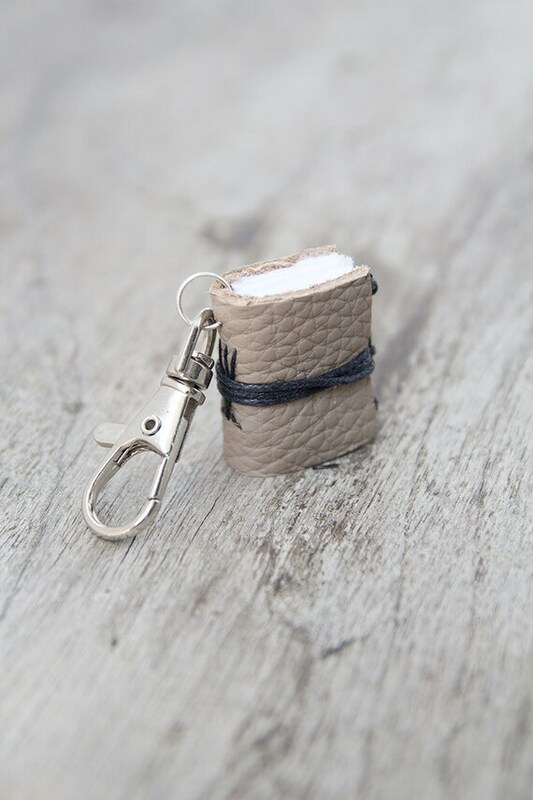 Miniature book keychain is very useful. You can use it all day long. 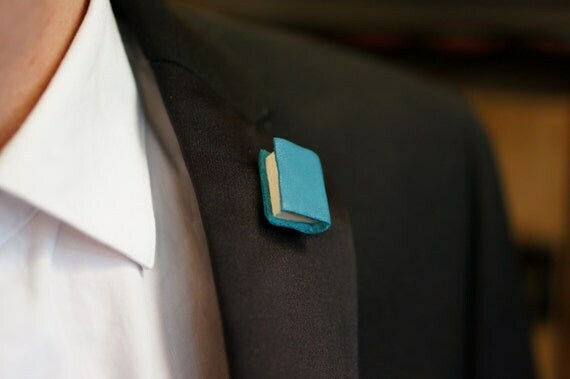 Awesome find for book lover or literature gift. Ideal special gift for a friend (birthday, christmas, graduation, holidays, valentine's, wedding favor etc.) or right for you! Cover: leather, stitched with linen thread and wrapped with cotton cord. Pages: The book is handstitched in 3 sections. Blank handtorn sheets of paper. 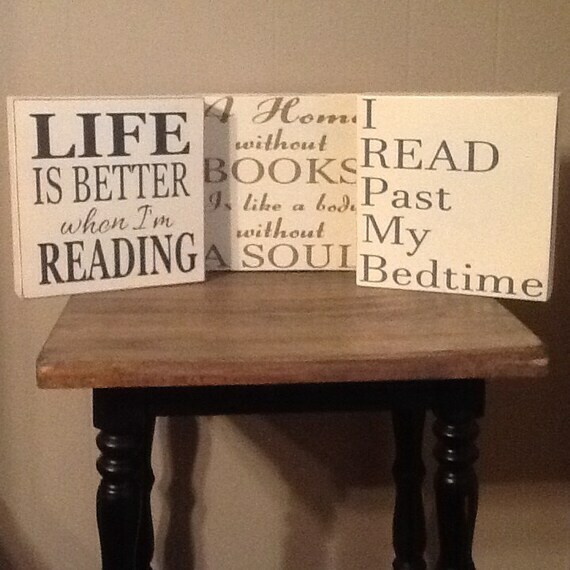 This is a great set for the book lover in your life! Can be bought individually or save when you buy all three together! 8x8 boxed in frame on back for free standing on a shelf or hang on your wall.